Passengers are now permitted to carry more than one item of hand luggage through security. You will, however, need to check with your airline before arrival at the airport. Some airlines will only allow you to carry one item of hand baggage, and the weight and size allowances differ between airlines. Many low cost carriers will now allow you take one airport shopping bag as well as your hand luggage but please check before you fly. What can I carry on? 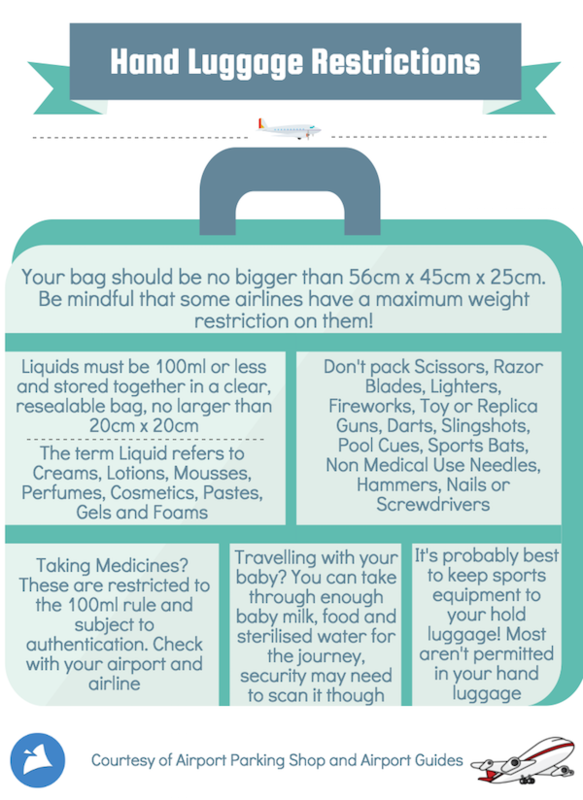 Our handy infographic below details how big your hand luggage can be and what you can and can’t pack. If items are confiscated at security control, you will not be compensated and, with the exception of unusual circumstances, the confiscated items will not be returned. Essential medicines are permitted in larger quantities above the 100ml limit but you will need approval from your airline. We advise that you also carry your prescription or a statement from your doctor with you. Exceptions to the 100ml rule may also be made for those carrying baby food and milk but these items will be subject to additional security screening. You may take on board liquid items of any size that are purchased after the security check in the departure lounge. 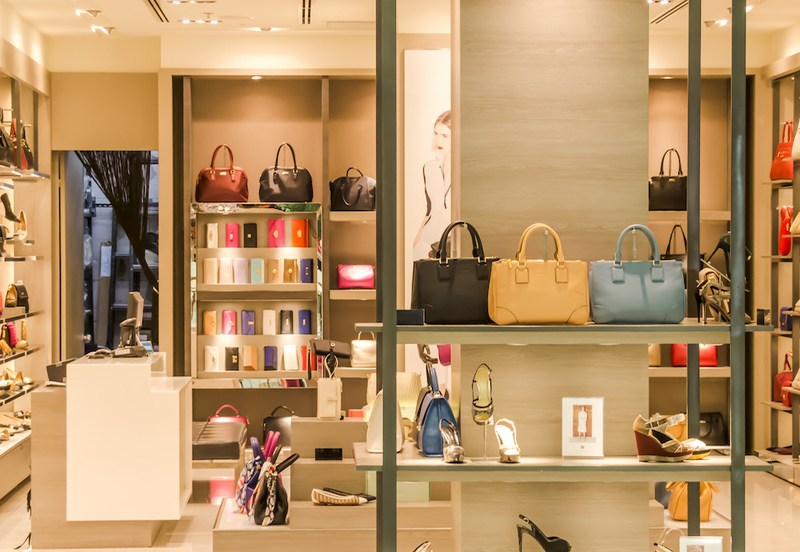 Most duty free or similar purchases will be given to you in a special sealed bag – do not open this bag until you have reached your final destination. You should also retain your proof of purchase throughout your journey as you may be required to show it at a transfer point. **Please note restrictions apply to duty free purchases made on return journeys where passengers change flights at an EU airport. These are explained in detail on the UK Border Agency’s website. These are the requirements set down by the HM Revenue & Customs. Airlines and Airports may have additional measures in place. Passengers are strongly advised to check the website of their carrier or airport before travelling. Wrapped Christmas presents are not exempt from the current aviation security measures, and are subject to searching and screening measures by airport security staff when flying from the UK. It is possible that passengers may be asked to unwrap any presents by security staff at the airport before their journey. Therefore, passengers should travel with any presents unwrapped. Presents in liquid form (e.g. perfume, toiletries or alcohol) can be carried in cabin baggage but this is subject to the current measures. It would therefore be advisable to place such presents – unwrapped – in hold baggage. Liquids of any amount can still be stored in hold baggage.